HypoGeo is by definition: whatever origins, grows and evolves under the ground. taking shades through his musical background made of extreme metal, industrial/ebm, new wave/post punk, techno, idm & darkambient. In May 2012 HypoGeo releases his first full length album "Tree of Lies" with Zenon records, the widely known Australian label. 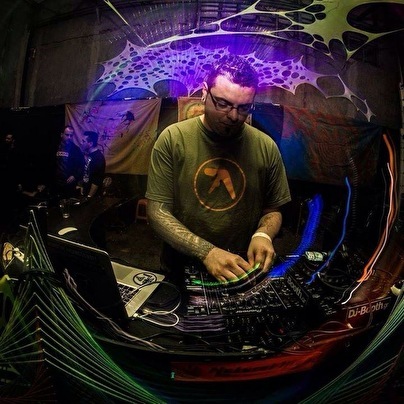 The album is a huge success by critics and fans for his particularly aggressive and heavy sound, thats built the bridge between the most deep and psychedelic trance (many says forest) and the actual Zenon sound. Doesn't matter how you call it, it's definitely something that you have to experience live catching the Hypo performance on a Festival or party around the world. HypoGeo is currently in the studio working on the 2nd full lenght album.